Available again in January 2019, this Boston Bound Training Program is designed specifically for those runners talented or dedicated enough to have qualified for the Boston Athletic Association Marathon. It assumes an already high level of fitness, otherwise you would not have been able to meet Boston's strict qualifying standards. If a long run of 14 miles in only the second week sounds too far, you probably need to pick another training program. Also, unlike my usual 18-week marathon training programs, Boston Bound is only 12 weeks long, beginning in late January for the April race. Its increments are designed to prepare you for the unique challenge that Boston presents. Finally, it includes only a two-week taper, not three as in most of my other marathon programs. To understand the logic of this program, you must consider the profile of the traditional point-to-point course from suburban Hopkinton into downtown Boston, as described on pp. 144-145 of my book, Boston: A Century of Running, Unfortunately, the coffee-table version from 1995 of that book is now out of print, but a text-only version is available on Kindle. The course starts at a height of 462 feet above sea level in Hopkinton, drops precipitously, particularly in the first mile and a half, rolls, descends again through about 4 miles, then flattens somewhat with an occasional hill before bottoming out at 49 feet above sea level at Lower Newton Falls (16 miles). Then begin a series of four hills–what Coach Bill Squires calls the Killer Chain–culminating in the infamous Heartbreak Hill (21 miles). It is not so much the height of the hills (Heartbreak is only 236 feet above sea level), but where they come in the race that poses difficulty for marathoners who have failed to prepare for them. The final 5 miles to the finish line on Boylston Street present a steady, if sometimes unnoticed, descent to 10 feet above sea level, and it is here where the legs of unprepared runners take a beating. If you enter this stretch fatigued and unable to maintain running form–particularly if forced back onto your heels–you will pound the muscles of your lower legs to pulp. This is why you see runners heading home at Logan Airport late on a Monday walking with the stiff legs of the Frankenstein Monster. It is also why for a week after the race, they will walk stairs backwards. The important message here is that to prepare for Boston–and the aftermath of Boston–you must condition your legs by training on hills, not only many of your long runs, but also hill repeats, both up and down hills. You must also lift weights to strengthen your legs: specifically the quadriceps muscles, but also the calf and hamstring muscles. To fail in this regard is to invite injury and to insure an inferior performance. This Boston Bound Training Program takes this message seriously. Another problem for those training for Boston who live in the Frozen North is that they must train through winter when snow and ice may make it difficult to match their usual training pace in the spring or fall. Speedwork–at least outdoors–may be out of the question. This is only a problem if you make it a problem. This Boston Bound Training Program will help you succeed. One cold weather strategy is that many of the long runs are prescribed in hours and minutes rather than in miles. Monday: Run Easy. In my Boston Bound Training Program, Mondays are easy days with short runs that begin at 3 miles in the first week, then move upward to 4 and 5 miles. The main purpose of the workout is to do some easy miles while recovering from one hard workout and getting ready for another. If you have access to a fitness center, you might want to do this workout on a treadmill, then do some strength training afterwards. Run between 65 to 75 percent of your maximum heart rate. Tuesday: Run Fast. On alternate Tuesdays, run either fast 800 repeats at the track (Yasso Repeats) or hill repeats on a hill that could be almost any length between 200 and 800 meters, as long as running up it pushes you into the 80 to 90 percent maximum zone. Because Boston is a downhill course, run every third repeat downhill to strengthen your legs for the pounding they will get in the marathon. Wednesday: Run Easy. Similar to Monday, do a short and easy run today, coupling this run (outdoors or indoors) with some stretching and strength training. Stay in the 65 to 75 percent comfort zone. Thursday: Run Fast. 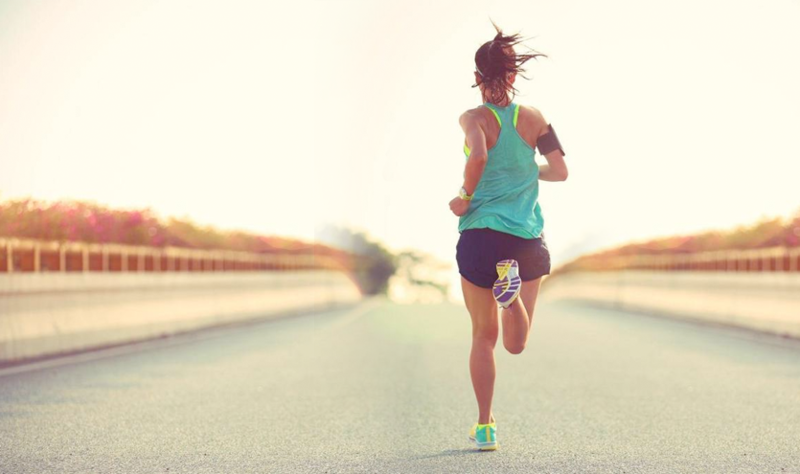 Weather permitting, you will do a Tempo Run on most days. I define a Tempo Run as one where you start easy at a jogging warm-up pace (60 to 70 percent of your maximum heart rate), then after a mile or two, begin to gradually accelerate to just slower than your 10-K pace (between 80 and 90 percent of your maximum heart rate). Then, after holding that fast pace for 3 to 5 minutes, gradually decelerate and finish the run at the same jogging pace at which you started. While I suggest Thursdays for Tempo Runs, be aware of weather conditions. Feel free to shift your Tempo Run–or any other prescribed workout–to the day of the week most convenient for you. Friday: Rest. Fridays are rest days in all my programs. You need to be well rested to obtain maximum benefit from the tougher workouts on the weekends. Saturday: Pace Training. Saturday runs vary from 8 to 4 miles with about half of them done at marathon pace. I say this despite the fact that it may be very difficult to achieve your normal marathon pace in bad weather while wearing heavy clothes and with snow and ice on the pavement. So do the best you can, knowing that as Boston approaches the weather should warm allowing you to hit the pace you want. Two possibilities are to do your pace runs indoors on a treadmill and/or wear a heart rate monitor to measure how hard you are working. I would shoot for 75 to 80 percent of your maximum heart rate. Please note in the schedule below that I suggest doing several test races to measure your fitness level and provide motivation. I suggest a 5-K, a 10-K and/or a Half Marathon. If you can’t find races at those distances on the days I suggest, adjust your schedule accordingly. Sunday: Run Long. Because winter weather conditions can impact your ability to run certain distances, every other Sunday the long run prescription is in minutes rather than miles. This recognizes the fact that 14 miles in difficult weather can be the Moral Equivalent of 16 or 18 miles in perfect conditions. When the prescription is in minutes, you don’t need to worry about distance. Just run your best effort. 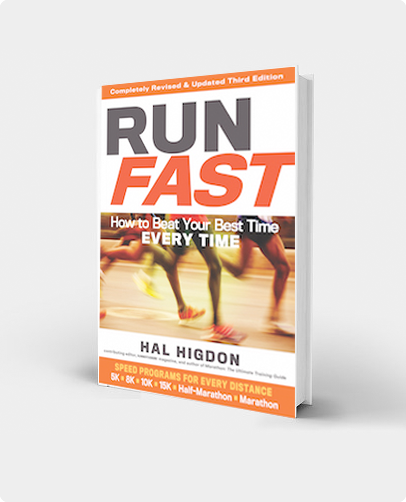 I don’t care how far or fast you run in your allotted time; I simply want you out running. Even runners with access to a treadmill in a gym probably need to get outdoors at least once a week to run long. Stay in the 65 to 75 percent comfort zone. For the time-based runs, I suggest doing them as a 3/1 run, where the first 3/4 of the run is done at an easy pace, picking up the pace in the last 1/4 of the distance. Your goal at Boston also should be to finish faster, or as fast, as you started. Time-based training aside, miles do have their place in any training program, so every other Sunday I suggest you do run specific distances. If you prefer do your long runs on Saturday rather than Sunday, feel free to modify the program. In fact, weather conditions on any one day may force changes in your planned program. The best two words of advice I can offer are: Stay Flexible! The chart below describes my Boston Bound Training Program. But since you cruised in here on the Internet, let me strongly recommend that you sign up for the interactive version of the program, where I not only send you daily training instructions, but also tips that include motivational items related to the race itself. The cost is not that much, and I know you will not regret it. Go to TrainingPeaks for the interactive version of Boston Bound. was a weekly occasional runner and after a bike accident decided to run a marathon with my husband. 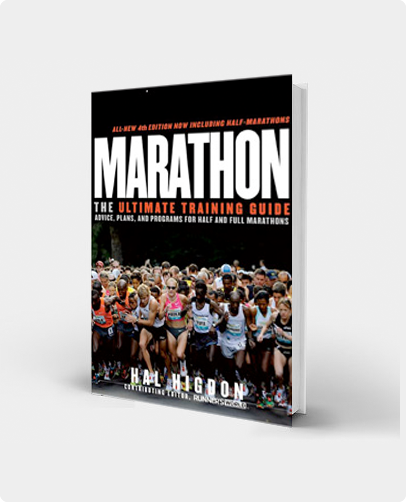 Hall Higdon Novice 1 training give me the perfect guide to finish and even qualify to Boston.